I have been away for a while because my PC is unable to connect to the Internet. I have missed y’all. Although I have not published any post in almost a month, I always remember you in my prayers. I thank God that I am able to do that today. Well, to start with, I want encourage you to keep trusting in the promises of God concerning your life. Most importantly to Believe everything He has said in His Word about the End Time. Sometimes when we focus on our problems, challenges, or situation, it kind of becomes difficult to trust, believe, or hold on to His Word. 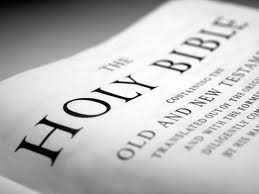 But be encouraged that God’s word has stood the test of time. It stands today as it was over 1000 years ago. It has power to turn situation around for good. Voltaire said that “One hundred years from today the Bible will be a forgotten book.” After the 100 years, Voltaire is no where to be found but we know that the Bible is still changing lives all over the world. The miracle you seek is just some few steps away so don’t give up. Keep trusting in His Word. Only Believe.